There's a small den off the living room which could work as a home office. 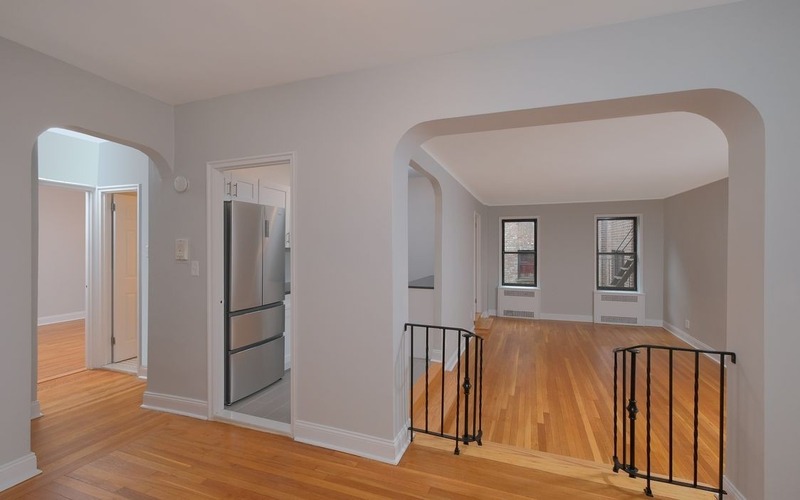 Welcome to Brick Underground’s sponsor apartment pick of the week, where we feature a co-op for sale by the owner of the building. 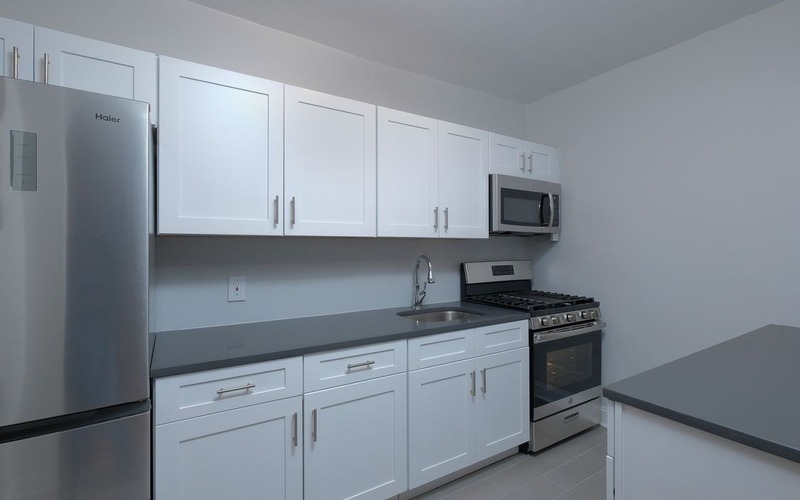 You do not need board approval to buy these apartments, they are often newly renovated, and they typically require a down payment of only 10 percent, versus the 20 to 25 percent that most co-ops demand. In exchange for the condo-like ease of acquisition, expect to pay a bit more than a regular co-op, but considerably less than a condo. For more information, check out "Everything you ever wanted to know about sponsor apartments but were afraid to ask." This one-bedroom co-op in Fordham, 55 East 190th St., #55, is on the market for $229,000 and has been recently renovated with a new kitchen and bathroom. 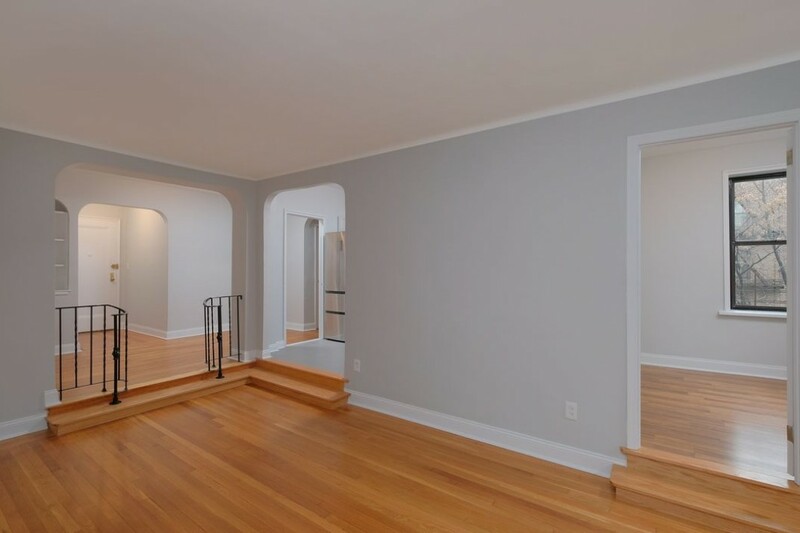 The hardwood floors look to be in great condition and the remodel has retained the Art Deco style of the building with archways between rooms and a sunken living room. On the market as a one-bedroom unit, it also has a small den off the living room. The building is better known as Fordham Manor and was finished in the early 1940s. It has 54 units and six stories. 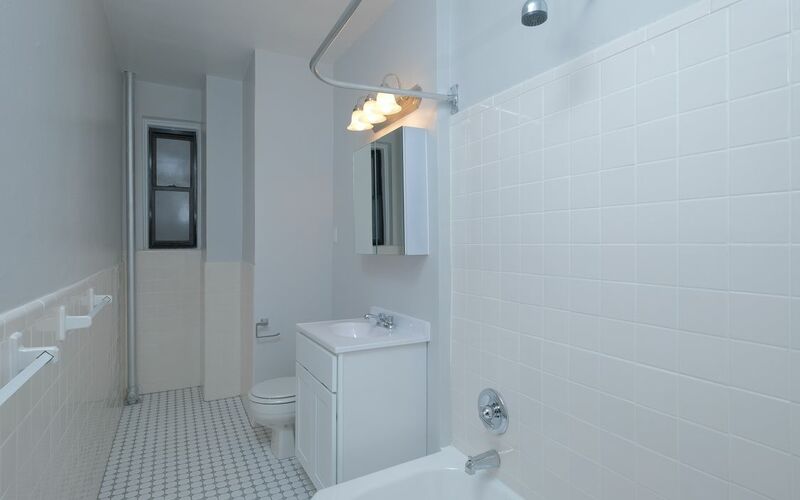 Amenities include shared laundry facilities in the building, an elevator, and a live-in super. Monthly maintenance is $640. 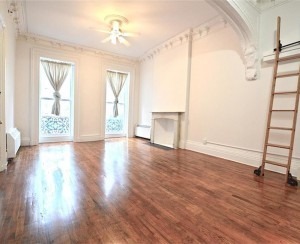 Pets are not allowed and the board won't allow this unit to be sublet. 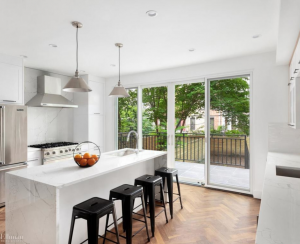 There's very little inventory in this part of the Bronx, making it difficult to establish a median sales price for similar sized units in the area. The last one-bedroom unit to sell in the building went for $195,000 two months ago. 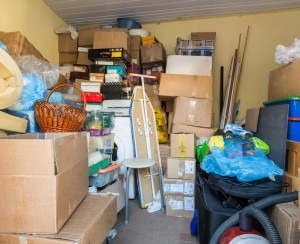 Before that, a one bedroom changed hands for $200,000 in the fall of last year. The unit enters into a foyer and ahead of you is the kitchen, which runs alongside the living room. The den is also next to the living room and helps to throw a bit more light into the space. Shaker-style cabinetry in the kitchen and stainless steel appliances give this remodel a contemporary look. There's plenty of countertop and cabinet space, although the lighting and wall color makes it a little drab. There also doesn't appear to be a backsplash (unless it was added after these photos were taken). 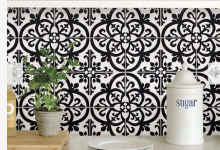 You can always solve this issue with some self-adhesive tilework. The bedroom has some closet space and a window on the back wall, although the view is non-existent and the room probably doesn't get much sunlight. The slim bathroom is next to the bedroom. 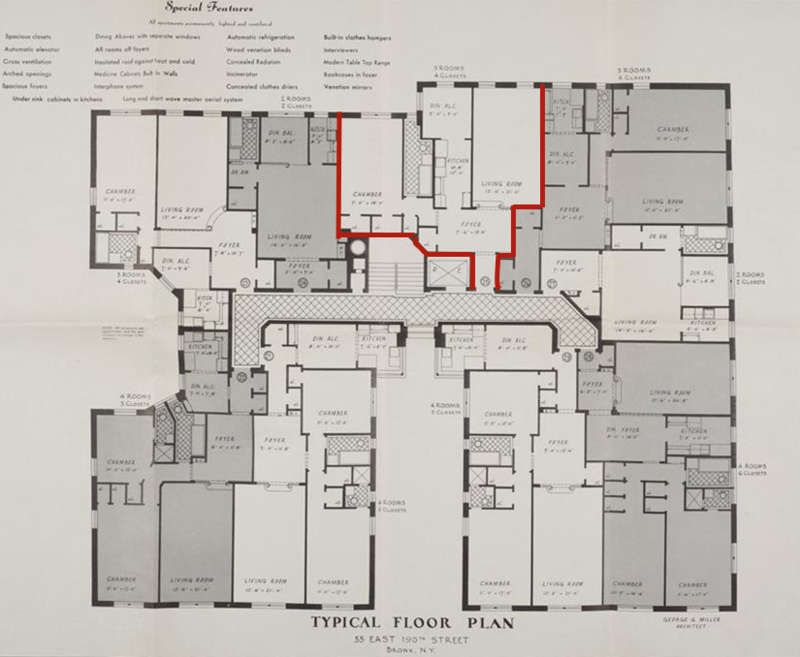 You can identify the unit as the one outlined in red on the archived floor plan. 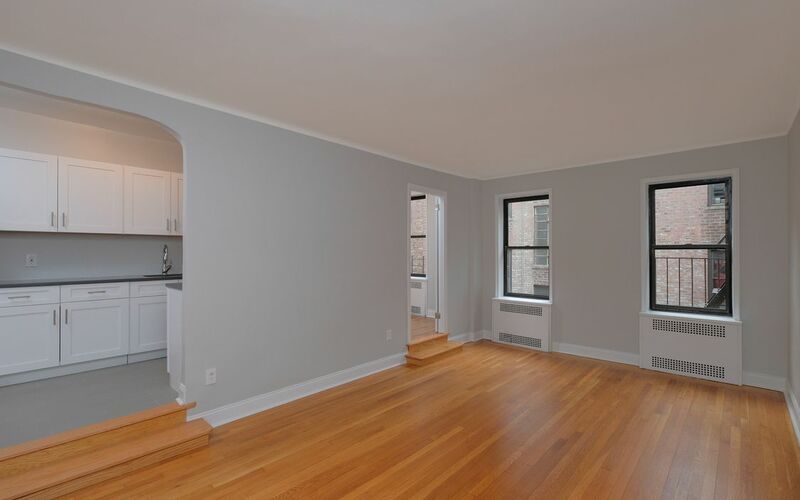 Fordham Manor is next to the restored Saint James Park and a short walk to Fordham University's Rose Hill campus, Monroe and Bronx Community Colleges, and the medical center. 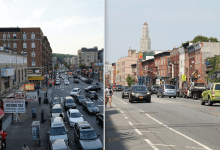 It is just north of Jerome Avenue which is seeing new development, and park improvements through recent rezoning. 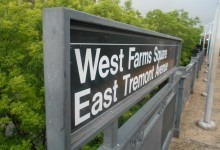 For transportation, the B and D subway stop is nearby, as is the 4 and Metro-North's Fordham line. During rush hour, it is generally a 40-minute ride to Midtown. New bike lanes are coming to the area and improvements are being made to improve pedestrian safety. 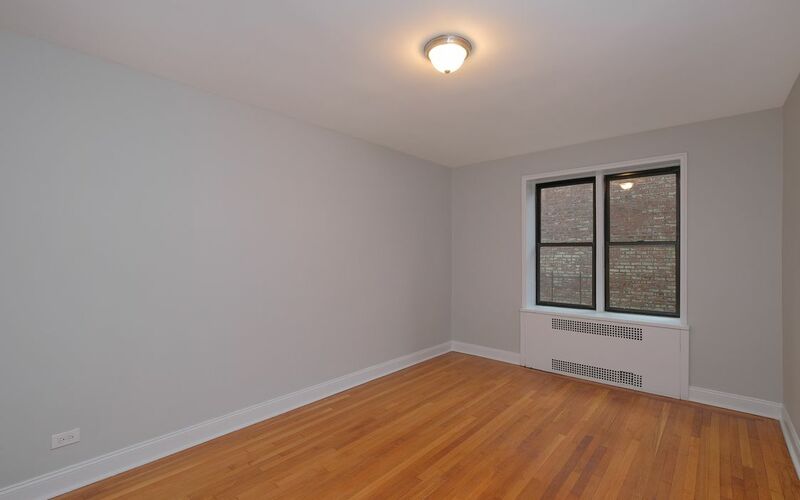 Would you rent this studio in Chelsea that lacks a dishwasher and laundry, for $2,650?